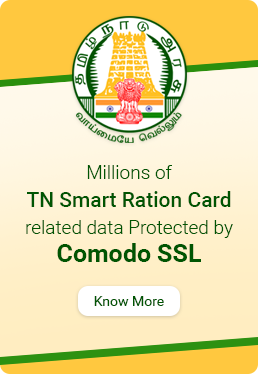 Comodo Instant SSL Premium certificate comes with a superior technology to protect your website and your customer information with utmost care. Besides strong encryption and tamper-proof insulation, Instant SSL Premium certificate offers a warranty of $250,000 that gives instant assurance to your website visitors. Get your Premium Certificate today! A $250,000 warranty to assures your customers that your website is a safe to transact with. Substantial protection of your website and customer information. Compliance with major payment gateway security requirements like SOX, HIPAA, and so on. Plus – FREE PCI scanning service and daily website vulnerability scanning service for 90 days! Unbeatable Price: Starting at ₹ 11,350.00, it is way cheaper than than most High Assurance SSL certificates from other brands. Bonus features include free Corner of TrustLogo, dedicated account manager and free priority phone support. One-time Licensing: Unlike other providers, we do not spike the certificate price for every additional license. Your certificate comes with an unlimited server licensing; as your business grows, you can install the certificate on as many physical servers as you wish. 24/7 on-call support: Comodo is the world's leading SSL certificate provider, and we have the experience and infrastructure to help you in every step of the way. What's a Dynamic Site Seal TrustLogo? Globally, more than 25 million businesses and households use Comodo products to protect their computers and mobile devices against virus attacks. Comodo's brand name instantly resonates with the customers as a symbol of trust and security. Comodo is committed to customer satisfaction. If you are not satisfied with your purchase, we will refund your money within 30 days of the purchase date without any questions. That's a Comodo guarantee!